The Mercury Watch Database is an AGC project sponsored by the United Nations Environment Program. It is dedicated to collecting, analyzing, and publically serving information about mercury use and emissions around the world with a focus on artisanal and small scale gold mining. This information is very useful for governments and other stakeholders who wish to address important environmental concerns regarding mercury. 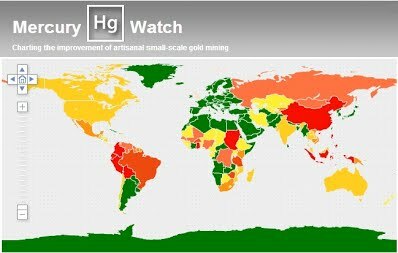 Mercury Watch is served publicly and is being used: (a) as an open document for discussion with governments and agencies concerned about Artisanal and Small Scale Gold Mining (ASGM) (b) to encourage input from these stakeholders; and (c) as an education and awareness vehicle. The database can be queried to provide basic information by country such as largest ASGM gold production, largest mercury exporter, etc. The website will be updated to incorporate stakeholder input, ASGM population estimates, and multilingual support. Mercury is a deadly neurotoxin. The Minamata Convention aims to protect us all from the risks of mercury poisoning. 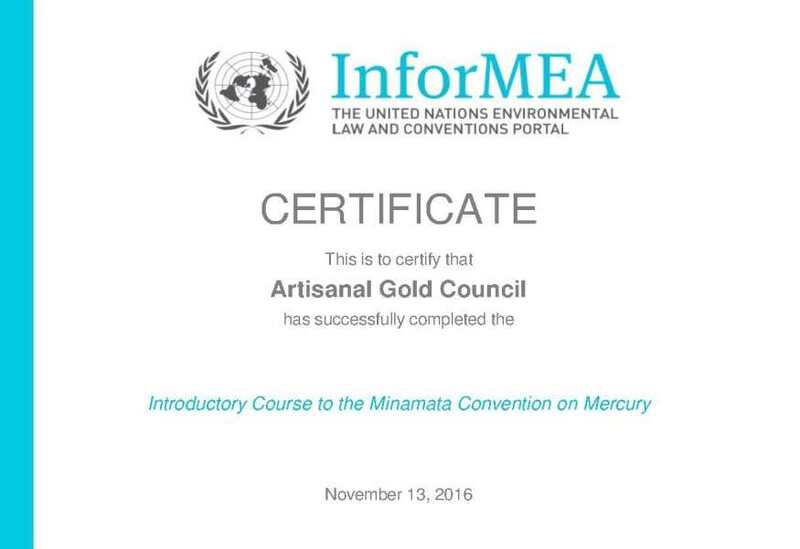 The AGC has completed the InforMEA course on the Minamata Convention on Mercury.